Van Halen's David Lee Roth makes the jump into dance music. 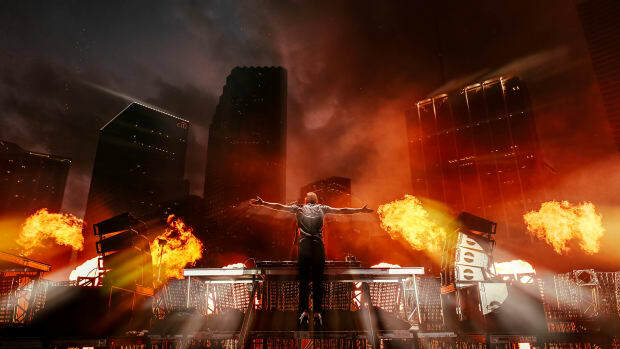 With 170,000 festival goers in attendance, and an estimated 30 million live stream viewers, Ultra Music Festival&apos;s influence as one of the most prolific live platforms in dance music is undeniable. Year after year, Ultra has kept artists in somewhat of a risk-taking mood as dance music&apos;s biggest names strive to create unforgettable moments and connect with their global audiences. 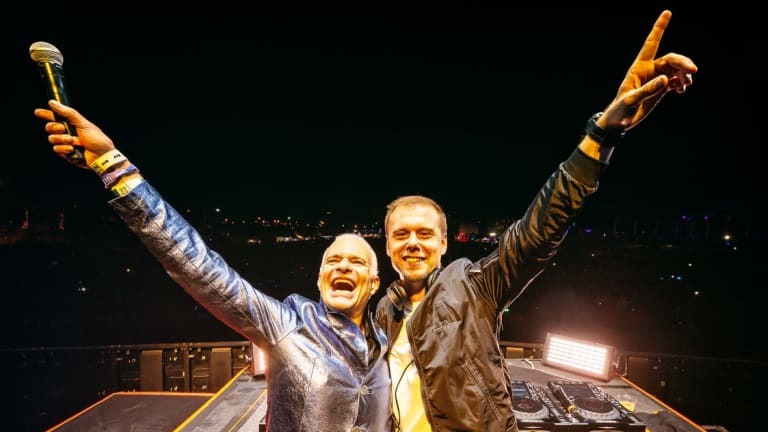 On Saturday, Armin van Buuren took his set into uncharted territory when he invited Van Halen frontman David Lee Roth to join him onstage. The historic moment captivated the main stage audience, as the two performed a remix of Van Halen&apos;s "Jump" which Roth calls an "an all time favorite perennial sports song." Though the appearance was met with surprise, in many ways Roth&apos;s foray into the EDM world felt like a long time coming. 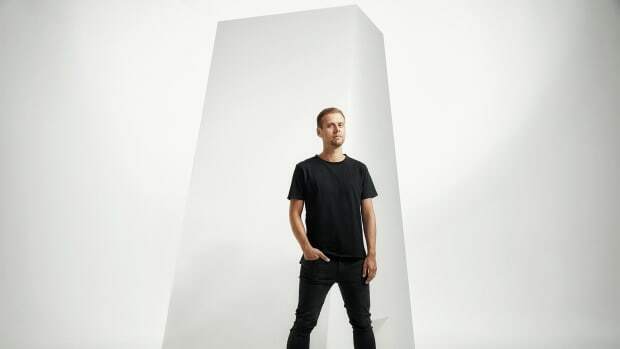 The frontman has not exactly been shy about his love for dance music over the years. Even bandmate Eddie Van Halen once famously stated to Billboard "there are four people in this band, and three of us like rock and roll...one of us likes dance music." David Lee Roth: I couldn&apos;t possibly be better, or so I thought, until we landed in Miami. Boom-ch-boom-ch-boom-ch-boom-ch. Put that in print, translate it into 82 languages, and you&apos;ll get what&apos;s in front of the stage (everyone laughs). EDM: You&apos;ll hear plenty of that today. Now, you&apos;ve got a collaboration with Armin van Buuren we&apos;re going to hear tonight. Tell us a little about how this came about, and your inspiration for the song. Roth: "Jump" started at 126 or 128 BPM depending on which vinyl pressing plant dealt you your cards. Armin increased it two beats per minute and also really restructured the song. The song itself comes from classic songwriting. Beyond "Jump" (as in) athletics, guess we&apos;re all going to physically jump, the subtext of that story is what makes it the all-time perennial favorite sports song. During the Olympics, they always have a vote and that song always wins because its about going ahead and testing the deep end with both toes. Try it one time, one time. All my best adventures and worst injuries started with "eh, might as well." EDM: What was it about this particular opportunity with Armin that made you want to jump in? Roth: Anybody of any real consequence on the left-hand side of the Billboard charts is getting remixes. Why is no one performing them? You can hear the regular single cut, but where can you go to hear the remix performed? It&apos;s only a matter of minutes before [Lady] Gaga shows up on this stage (laughs). We&apos;ll be the first, and yes, there&apos;ll be many more to follow, but it&apos;s such a clearly evident pattern, and what a great way to roll! Besides, half of my colleagues are pretending not to lip-sync anyway. What Armin did with these vocals using all those wonderful apps and patches that he applied to that kind of a sound, I love it. If you can interact with that, it&apos;s kind of an improvisation, and a great way to present and interact with remixes rather than just the classic studio song. EDM: You&apos;ve been very vocal in the past about your love of dance music. Where does that come from? EDM: Did that appreciation for dance music influence how you wrote music with Van Halen throughout your career? Roth: Clearly. I approached the Van Halen&apos;s early on when they couldn&apos;t get a single club gig outside of high school, and explained to them it&apos;s because there are no women in your audience. This compelled the question "Why not?" It&apos;s because you couldn&apos;t dance to their material. I went through the busing program and today, I have a surgically implanted disco beat. Want to hear it? Alright, I&apos;m joking (laughs). We were a power trio, but it was incumbent upon us to do five forty-five minute sets a night at local bars. This was before Cerwin-Vega made bass bins affordable to club and restaurant owners and you&apos;d hire your cousin with a milk crate and some records to come in and do the jockeying for you. That being the case, we started learning material that you could dance to and would change from audience to audience. It wasn&apos;t just one type of audience. We played to three different kinds of Spanish speaking audiences Tejano, Lowrider, and everyone who was going to UCLA. That&apos;s three different kinds of music right there, loco! EDM: Christian Gehrig portrays you in a scene in the new Motley Crue biopic The Dirt on Netflix. Have you seen the movie and if so, what did you think? Roth: I haven&apos;t seen the movie, but I saw a picture of the guy who plays me and he looks like a stud, appropriately (everyone laughs). EDM: You&apos;ve also recently launched a tattoo preservation company called Ink The Original. Tell us a little about what made you launch this company. Roth: My sisters have what they call "good Dave, and bad Dave." Bad Dave came from my mom. My mom would be reading the paper and you would come in looking to put your picture on the refrigerator. She wouldn&apos;t even look. She&apos;d just say "is it worth me getting the magnet?" At that point, you&apos;d reconsider your work. If you made the mistake of just re-approaching again saying "I&apos;m ready now" she&apos;d say "Let me see your brushes." If you didn&apos;t clean your brushes and put the paper away, because we lived in student housing at the time and every dollar counted, and if you didn&apos;t show the proper respect for the tools and everybody who came before you and taught you how to do it, then she wouldn&apos;t look at the picture. There would be no magnet in my future. So when I first showed my mom my Japanese tuxedo [tattoo] her first comment was "What do you do when you go to the beach?" EDM: Did your time spent in Japan influence you in any way when it came to creating this company? Roth: Anytime you change your context as an artist completely, and by that I mean even something like buying dental floss in Japan if you don&apos;t speak Japanese, it&apos;s an adventure. It will reform you as a human being in ways you can&apos;t possibly predict. All the great journeys have destinations which none of us can expect to land on. Those are frequently the best and the worst. At this point in time, I&apos;m not going to change my habits. I can&apos;t just say I&apos;ll write differently, speak differently, dance differently. I have to change the context and know I&apos;ll come out the other side a little different. Maybe better, maybe worse, frequently parallel. If you take yourself out of the bubble and put yourself somewhere you&apos;re completely unfamiliar with, and very intimidated by, I suggest you start with the Orange City. If you make that, I&apos;ll show you around Tokyo. EDM: What can fans of David Lee Roth expect next? Roth: We are launching The Roth Show. We&apos;re doing pod work now. All of the background music in our show, I wrote, including the bass and the drums. Give it a listen, it launches tonight. Hear more from Diamond Dave himself about his first Ultra Music Festival experience on episode one of The Roth Show. Who knew his latest track inspiration came from his daughter? 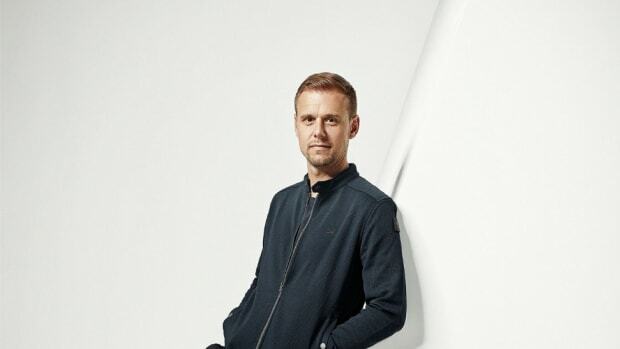 Armin van Buuren and Shapov share their third collaboration. Is anything impossible anymore? 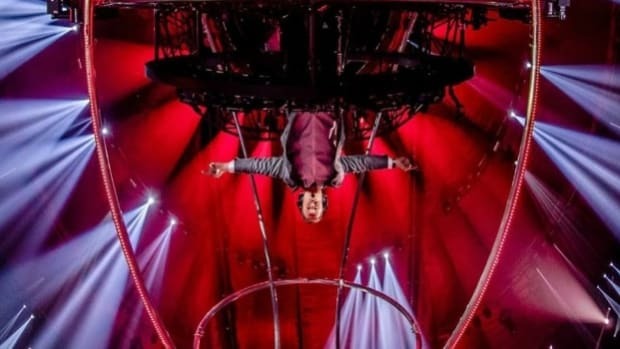 Check out this crazy performance by Armin Van Buuren where he plays in a rotating booth which takes him completely upside down! 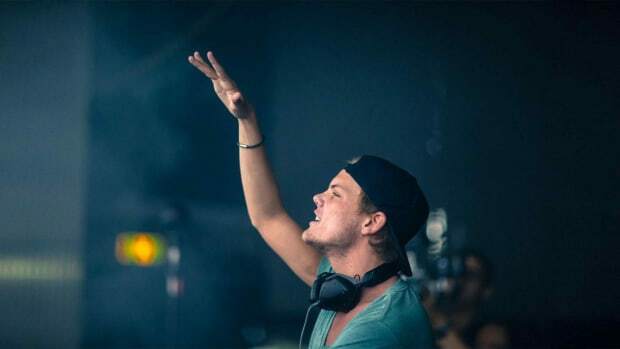 Avicii's contributions to EDM will always live on.